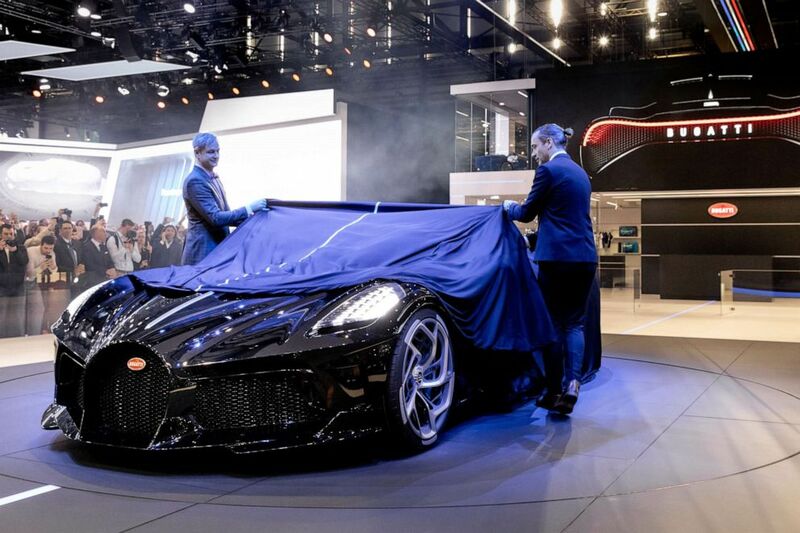 "La Voiture Noire" was unveiled at the Geneva Motor Show, March 5, 2019. 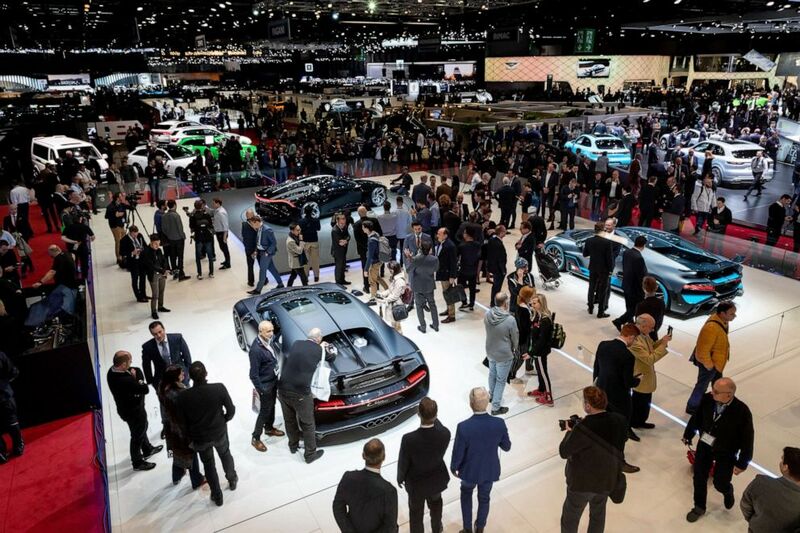 Bugatti cars are displayed on the floor of the Geneva Motor Show, March 5, 2019. 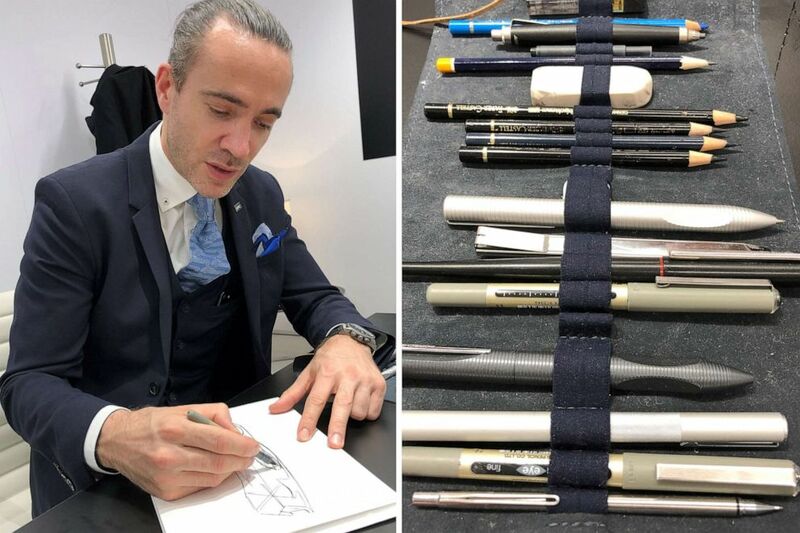 Salome has been a designer with Bugatti for 11 years. He said drawing has been his passion since he was young. 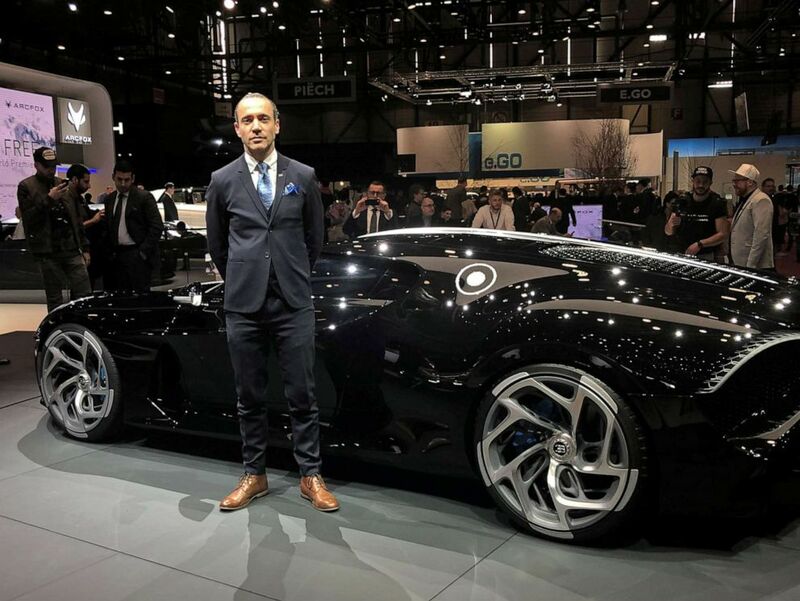 Etienne Salome stands next to his creation, the Bugatti "La Voiture Noire," the Black Car, at the Geneva Motor Show, March 5, 2019. 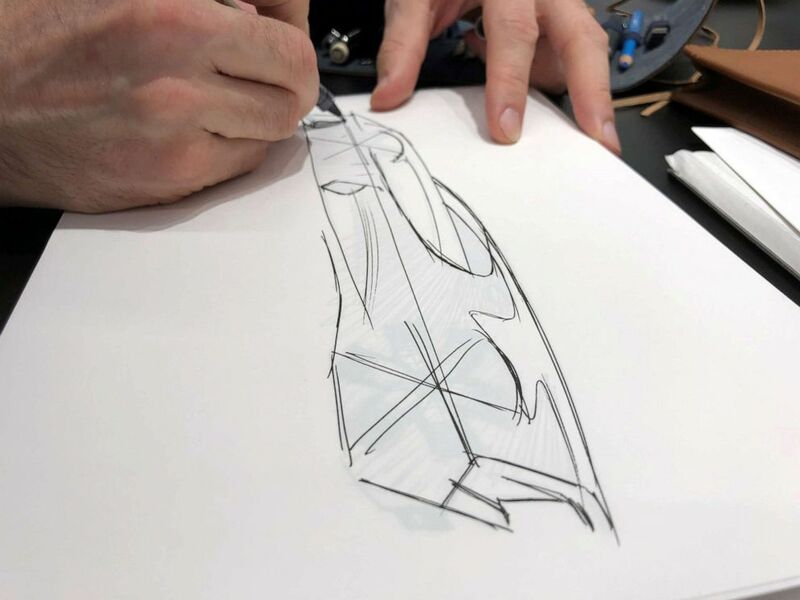 Etienne Salome doing what he loves most: sketching cars.